Marivic Aguibiador started with David’s Salon in 1987 as an Accounting Clerk, as she is a licensed CPA. She is a graduate of the University of the East, with a BSBA Major in Accounting degree. However, her love for the brand and passion to help others allowed her to fearlessly take on bigger tasks and projects beyond accounting. Largely responsible for the rapid growth of David’s Salon in its early days in the 90s, Marivic embraced the challenge of expanding and growing of the then-unknown salon through franchising and strategic partnerships. 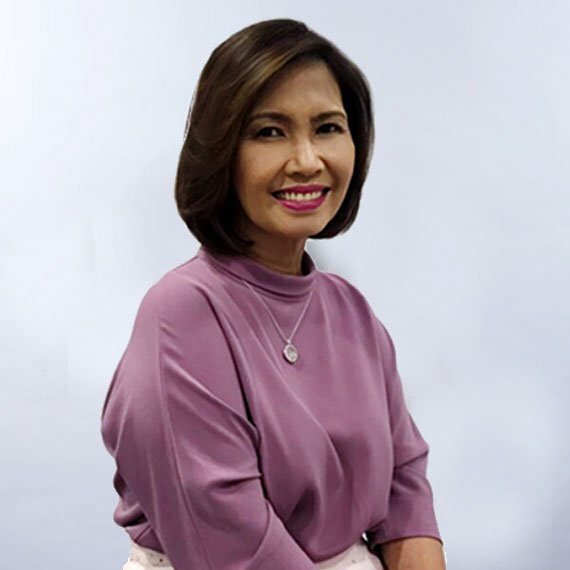 As the Vice President of Finance and Operations, she works on the business side of David’s Salon with a pulse for the future and a heart for service. She makes sure that the salons are running in tip-top shape, and giving clients value for their money. With her nurturing personality and wise advice to all those who approach her, it is no wonder that everybody fondly calls her “Mother”.